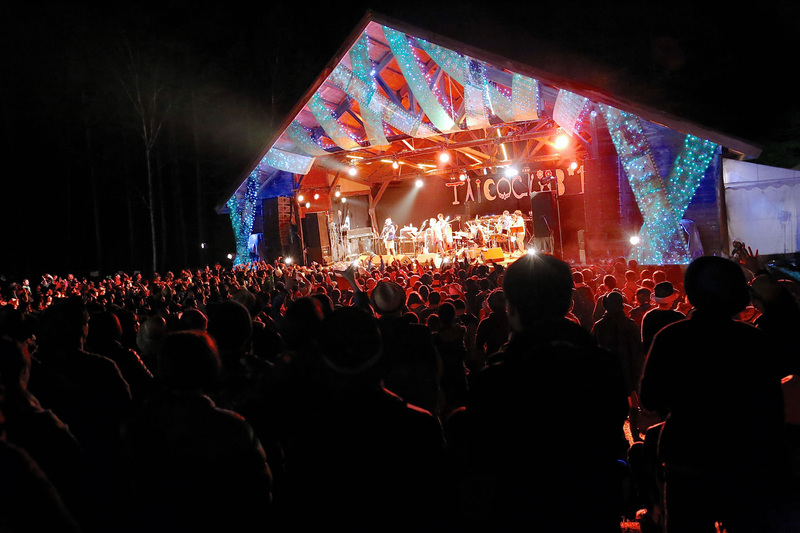 Under the stars: Last year's Taicoclub brought an enthusiastic crowd. This year's lineup includes Sakanaction and Takkyu Ishino. When the revised adult entertainment business law comes into effect on June 23, bringing an end to Japan’s archaic ban on all-night dance parties, it will mark the end of what has been a challenging period for the nation’s nightclubs. But beyond the major metropolises, at campsites and off-season ski resorts, a parallel dance scene has been quietly thriving, untroubled by the so-called fueihō law. This year’s Rainbow Disco Club, which decamped from central Tokyo to a verdant site in Shizuoka Prefecture in 2015, drew over 2,000 people during the recent Golden Week holiday. 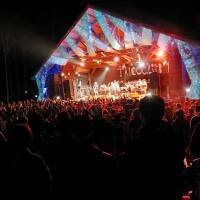 Some of the same crowd will likely be heading to Nagano Prefecture this weekend for the larger Taicoclub, an all-nighter that balances leftfield electronic acts with more crowd-pleasing domestic fare, and which celebrated its 10th anniversary last year. 2015 also marked the 15th anniversary of The Labyrinth, a three-day party held in Niigata Prefecture, which peddles some of the most hypnotic techno imaginable. And it was a solid year for Rural, a peripatetic techno bash that started in 2009 but has only recently begun to draw wider attention. While domestic media obsesses over Japan’s belated embrace of EDM, including the local versions of Ultra Music Festival and Electric Zoo, there’s clearly robust demand for outdoor parties that cater to a more, dare I say it, discerning listener. 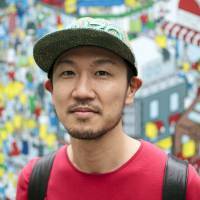 Taicoclub’s founder, Taro Yasuzawa, says there weren’t many precedents for his event — either in scale or programming — when it first launched in 2006. Although they host many of the same DJs and artists who play at nightclubs in Tokyo and Osaka, outdoor dance parties are beholden to a different logic. A natural setting can take the edge off even the most aggressive techno; a DJ playing a daytime set can explore musical territory that would kill the buzz of a peak-time crowd. At The Labyrinth, there’s only one stage, and the artists are programmed to form a coherent arc spanning the entire three days. Some of them, like Donato Dozzy and Peter Van Hoesen, are annual fixtures; others were virtual unknowns in Japan when they first played the event. At Rural, where the music runs continuously throughout the weekend, there’s space to accommodate more experimental sounds that get shut out of the club scene altogether. Taicoclub sets itself a different, and perhaps more challenging, task: to reconcile the worlds of underground techno and Warp Records-style electronica with the commercial realities of the Japanese music scene. It must be the only event in Japan that can book edgy overseas producers such as Arca and Oneohtrix Point Never alongside local chart-toppers Sakanaction yet seem equally sincere in its commitment to all of them. 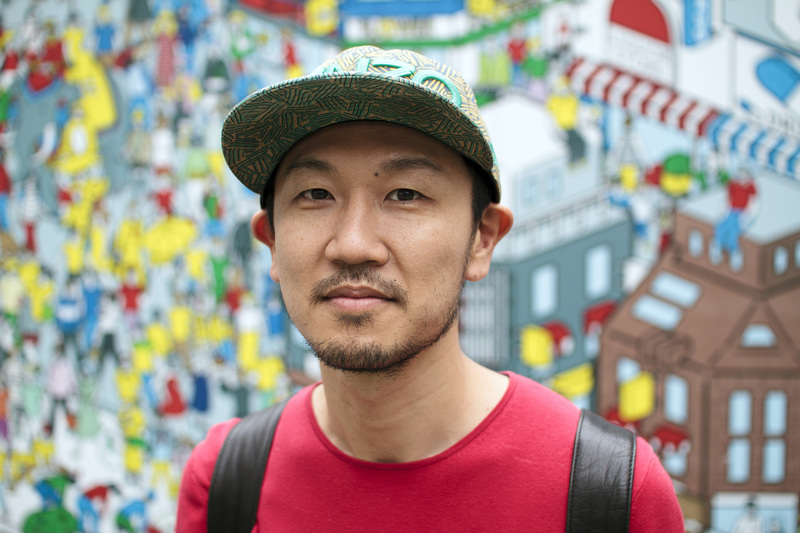 “We want to create a place where various kinds of people can mix … people from inside and outside particular scenes, non-Japanese, Japanese,” Yasuzawa says. By picking Japanese acts that are established names, Taicoclub is able to take bigger risks with its international bookings. Sure enough, Taicoclub attracts plenty of fans who’d never normally set foot in a nightclub — and, judging from the patchy crowds during some of the DJ sets last year, its clubber contingent seems to be shrinking. Rural has stronger ties to the club world in comparison, but at The Labyrinth, Russell estimates that half of the attendees come from outside that scene. This is partly down to demographics — people getting older, starting families and moving out of the city — but it’s also a question of taste. Dance music isn’t necessarily club music. For some, the appeal of listening to four-on-the-floor rhythms al fresco would be impossible to replicate in a nightclub. In the case of The Labyrinth, the sound itself is also a major draw. The festival’s Funktion One speaker system is meticulously tuned, and Russell and his sound man keep tweaking the EQ throughout the event, playing what he calls “mind games” with the audience. Outdoor parties like this don’t explicitly shut the door on EDM fans. Still, there probably weren’t many people who were torn between catching Swedish superstar Avicii’s Japan debut this weekend or going to Taicoclub instead. And speaking of Ultra Japan: it clashes with The Labyrinth again this year, and Russell couldn’t be more delighted. Taicoclub takes place at Kodama no Mori in Nagano Prefecture on June 4 and 5 (taicoclub.com/16) Rural is held at Yunomaru Highland in Nagano Prefecture July 16-18 (www.rural-jp.com). The Labyrinth is held at Naeba Greenland in Niigata Prefecture Sept. 17-19 (www.mindgames.jp).